It's been a while since my last fix, three months. I usually have my Stitch Fixes scheduled for every 8 weeks, but I decided to push it further and request some Fall and cooler weather items after Labor Day. In my note to my stylist, I requested mostly casual and washable tops I could wear day to day carting the kids around, errands, cleaning, playdates, etc. I asked for no more blouses at the moment since I don't get too many chances to really wear the ones I have and I asked specifically for a pair of DL1961 denim. 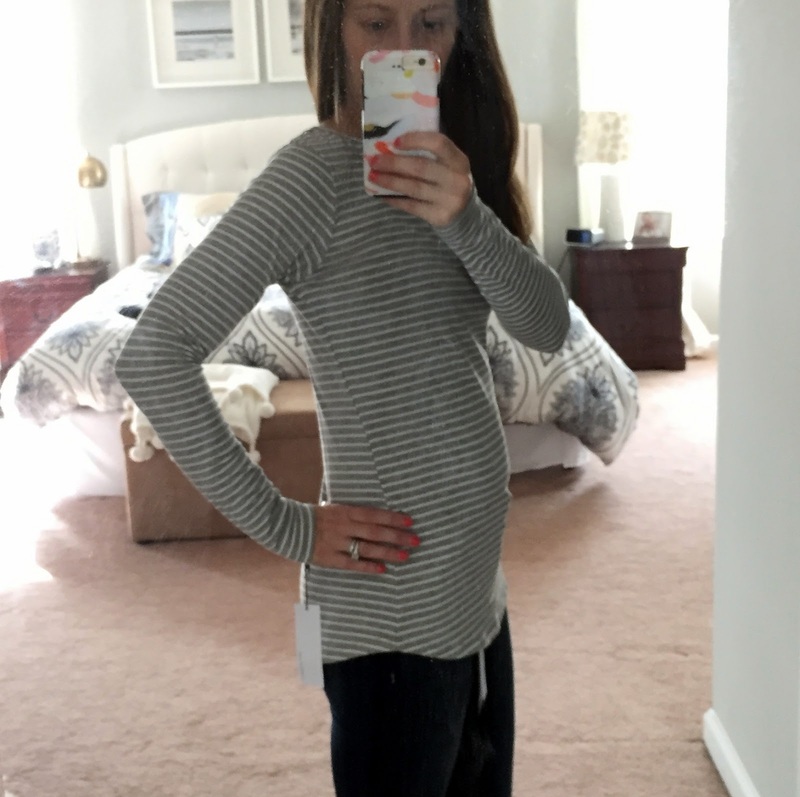 I haven't bought designer denim since my maternity jeans when I was pregnant with Ashlynn or prior to that. 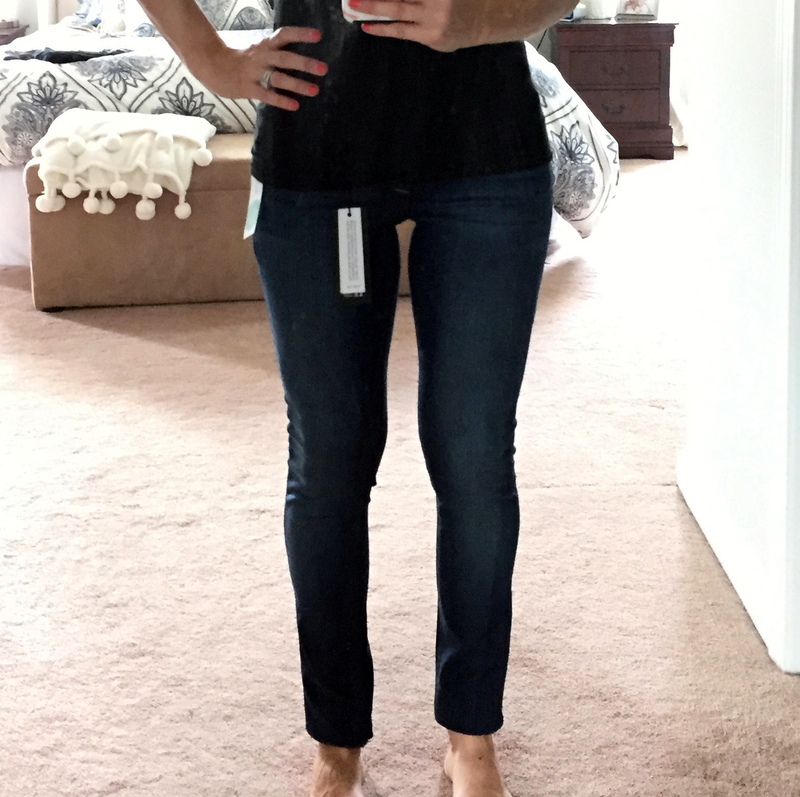 I've heard good stuff about DL1961 and their patented 4 way stretch denim so I had been wanting to give them a try. Over Labor Day weekend I saw on Refinery29 that DL1961's website was offering 40% off. Since my Fix wasn't scheduled to arrive until after the weekend I decided to order a pair incase a pair wasn't available or I didn't like what they sent me. First up was the Tampa Knit Top by Loveappella ($48). Honestly, I loved this. A classic gray and white stripe long sleeve basic, the fit and length were great, but I had major beef with the price. 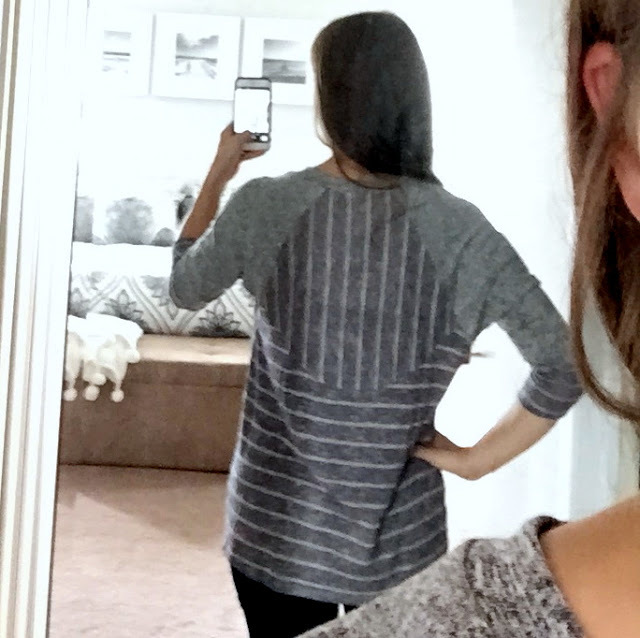 While the shirt did have a nice stretch component and bit a boatneck collar, I could easily find a comparable long sleeve tee at J.Crew, Gap, or hell, Target, for cheaper. I can't justify $50 on a tee. Next was the Bret Raglan Knit Top by Papermoon ($48). This reminded me immediately of my beloved and overworn Market and Spruce Corinna Sweater. 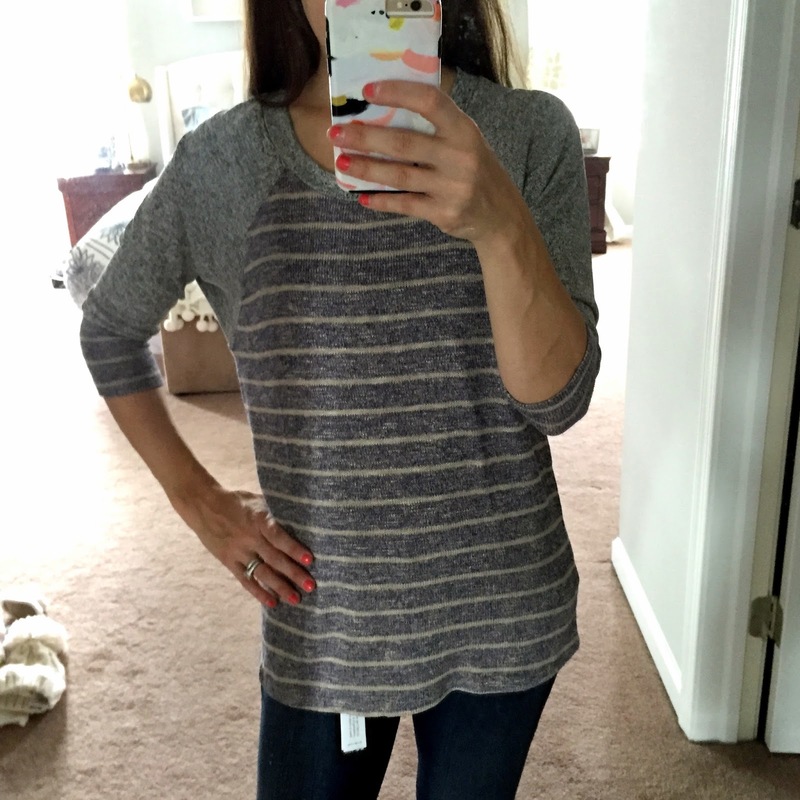 Heathered blue and gray stripes, 3/4 dolman sleeves, with a high low hem. I just was too worried about the material. It was polyblend (yuck) and just felt really cheap. I can imagine it snagging or not washing well, especially since it was handwash only, which doesn't work for me. Not going to spend the money on something that won't last or I'll regret. 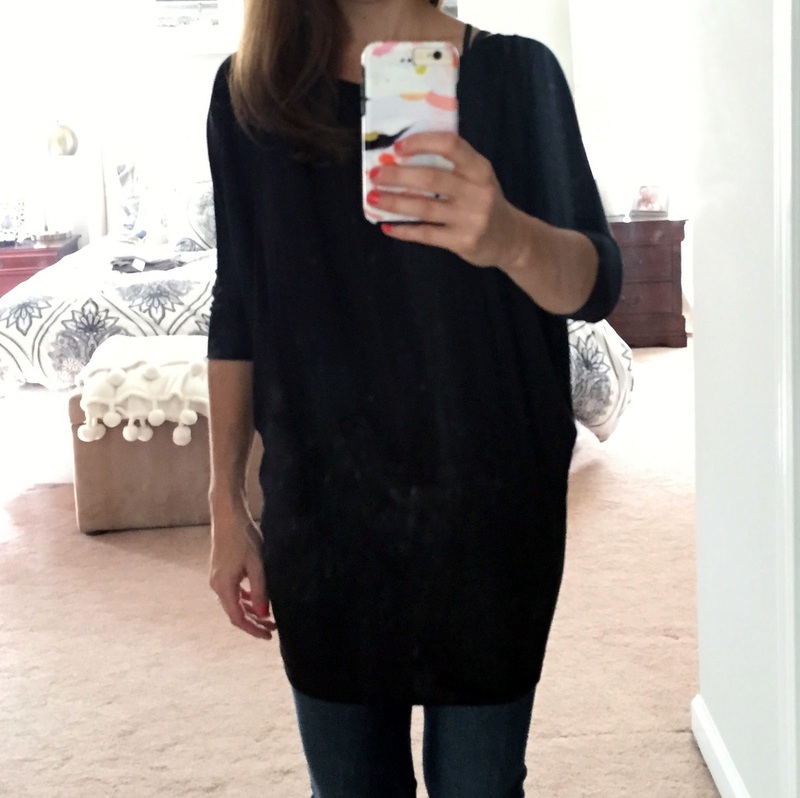 The last top was the Market and Spruce Queensland Dolman Jersey Top ($48). Apparently this is a big seller because I saw it all over pinterest in a bunch of different colors. My mother in law actually had it on when we went over for Sunday dinner. I knew immediately I wouldn't be keeping it. 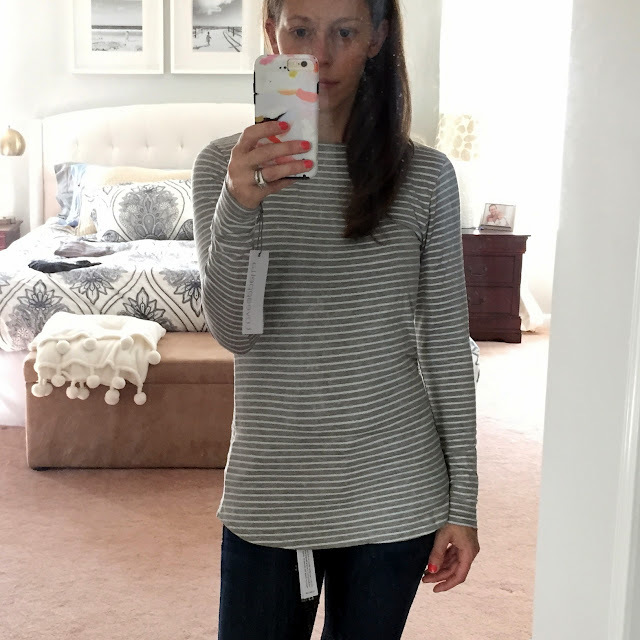 The jersey knit is really soft and comfortable, but the biggest drawbacks are the color - I rarely wear black because I feel it makes me look ghostly pale, and two it's not my style. Something about the tight ruching waistline makes it seem like 'clubwear' even though I know it's meant to be worn so the top blouses out. I do think it would be a cute with boots/booties and a scarf or long pendant necklaces, but just isn't for me. I'd most likely never touch it. After the tops I had two pairs of skinny jeans. My requested DL1961s and a pair about the half the price by Just Black. I'm glad I two options and two different price points since the DL1961s were at their full retail value. 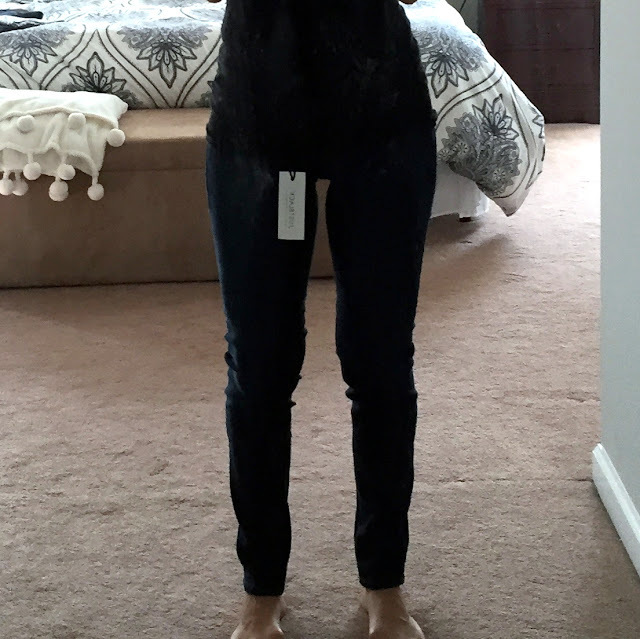 Just Black Jimmy Ankle Length Skinny Jean ($88) was just about the perfect length to require zero hemming or folding under. They were soft and very comfortable, a perfect fit size wise, but between to the two pairs I was afraid these would stretch out as they were already a little baggy and loose at the knees. I really do have a closet full of denim so I'm really trying to make sure I only add pairs that fit well and fill a style void. And finally the DL1961 Amanda Skinny Jean in Moscow ($168). I was hoping the jeans would be a bit cheaper through Stitch Fix, but they were priced the same as they are in the department stores. 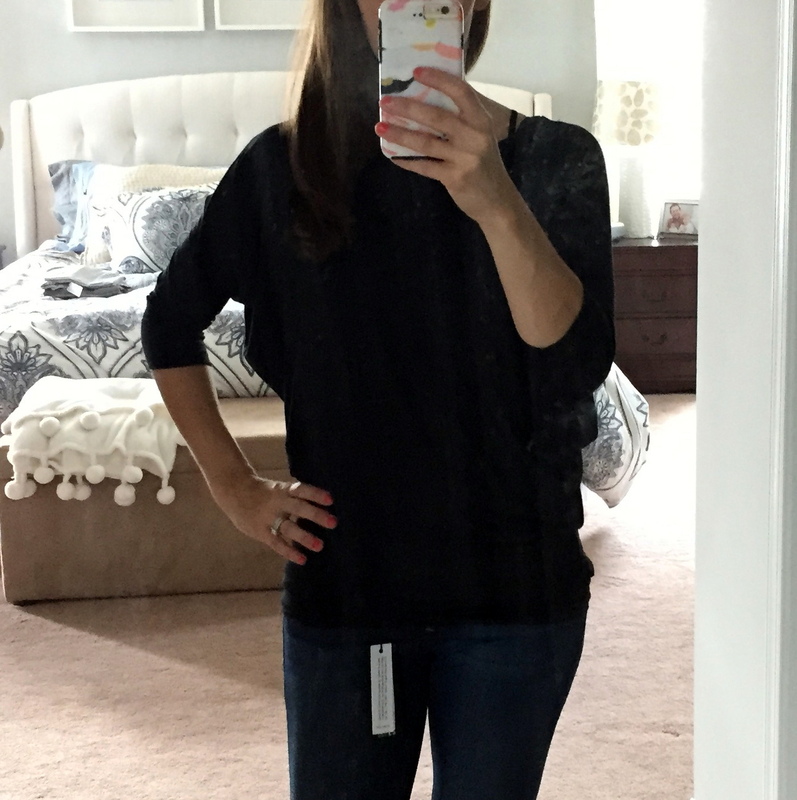 These are a perfect dark rinse wash and fit and feel like a jegging. They are super stretchy, but don't loose their shape. In comparison to the pair I ordered from the site, I had sized down as I usually run between two sizes depending on the brand. They were a bit tighter than I had hoped, but wasn't sure if they would stretch. 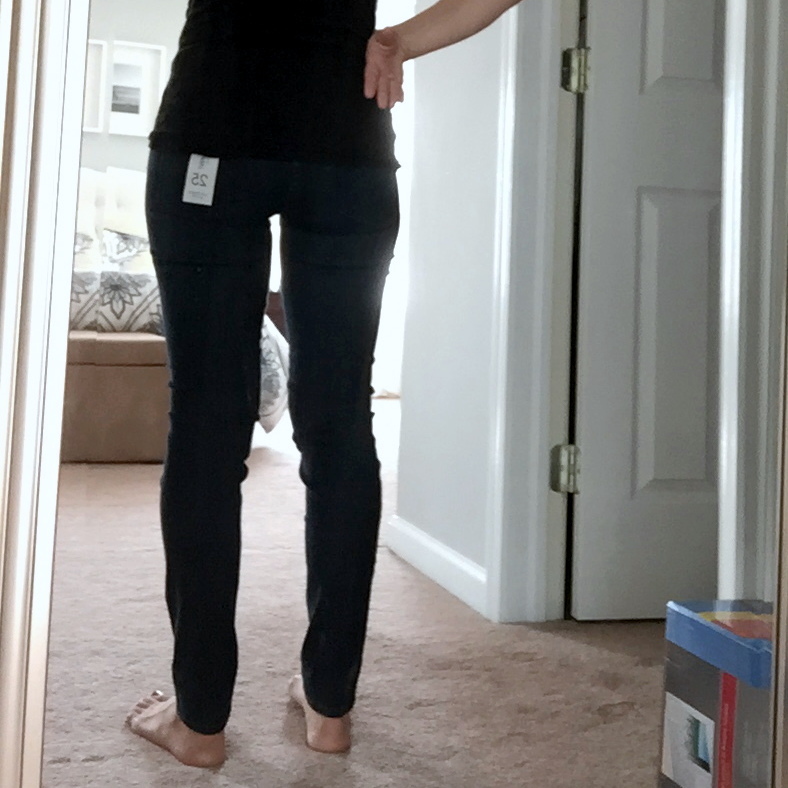 I didn't want to exchange or return until I knew if I was getting a pair through Stitch Fix and they sent me the bigger size and they fit like a glove. They are longer than the pair I ordered from the site a 31" inseam vs a 29", But I'll either cuff them under and just take them to be hemmed since I don't want the extra bulk when cuffing to wear with booties. In the end, I decided to keep both pairs since I did get such a great deal on the the first and was able to put some of my referral credit towards the Stitch Fix pair. I'm glad that I was able to spend the money on something I needed to replace in my closet as opposed to just another top. 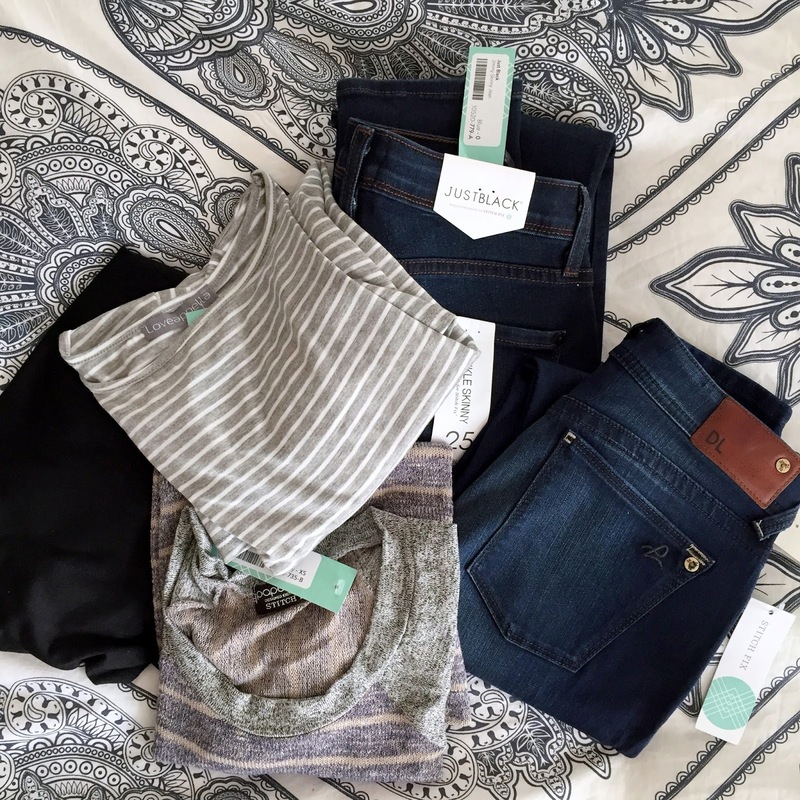 I think I'm going to be very specific with my Stitch Fix requests going forward. If you'd like to sign up and try it for yourself, feel free to use my referral link!